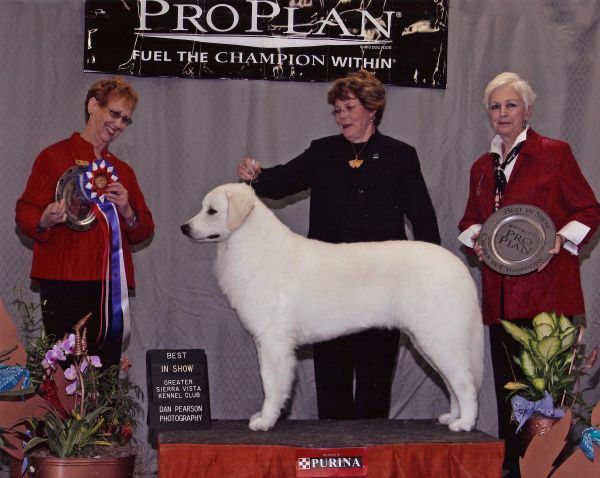 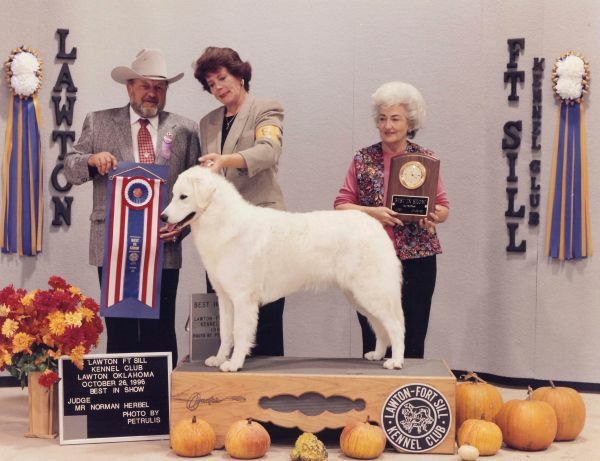 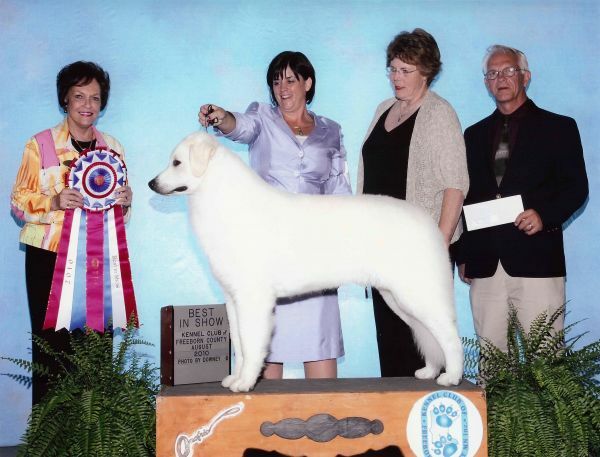 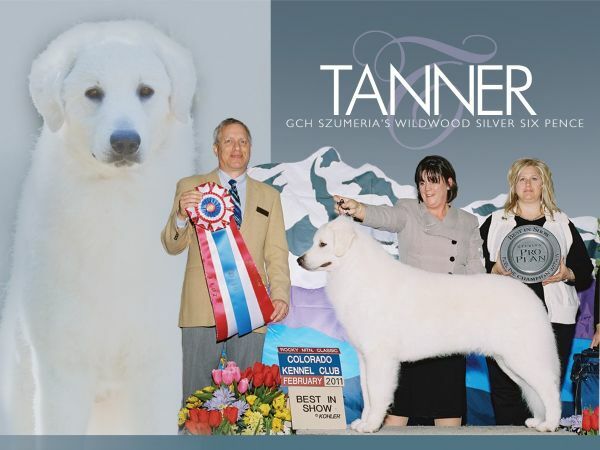 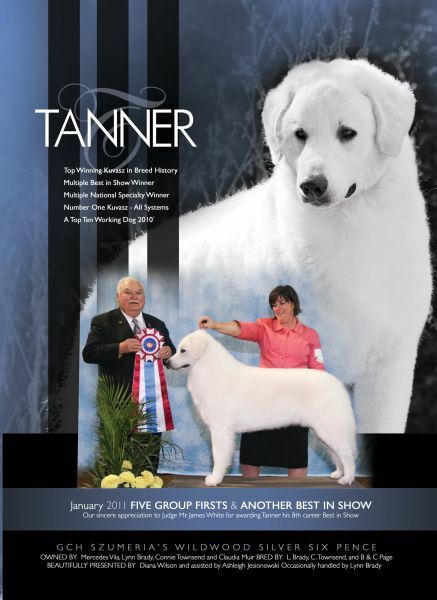 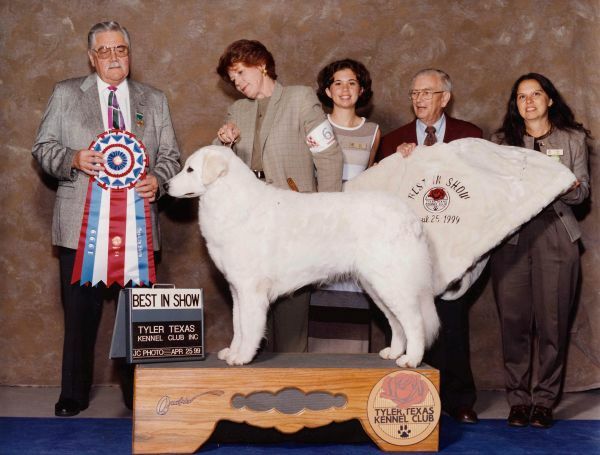 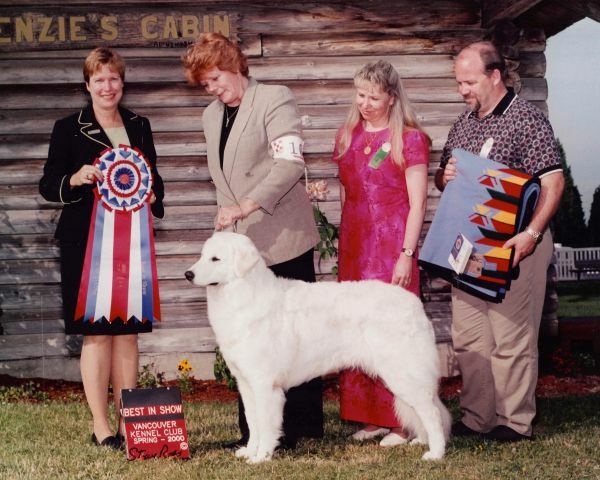 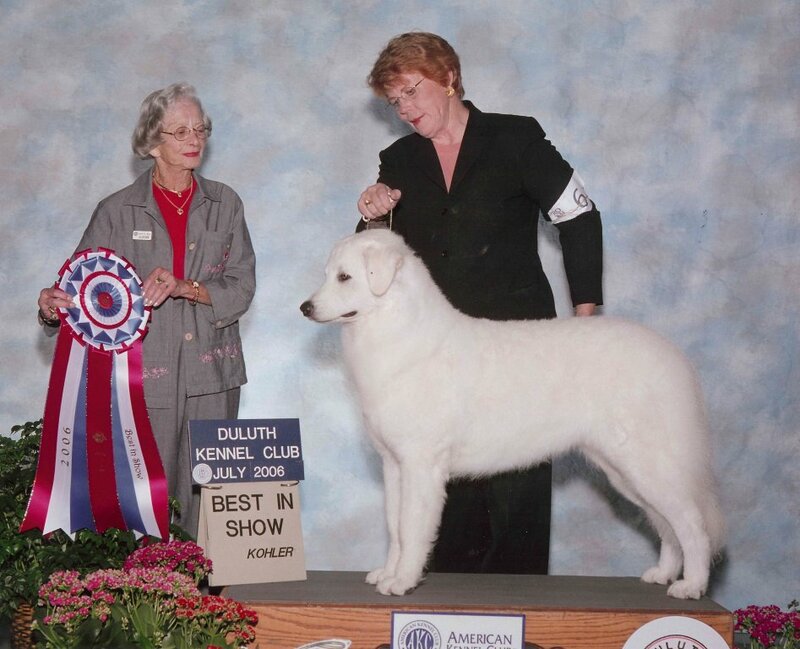 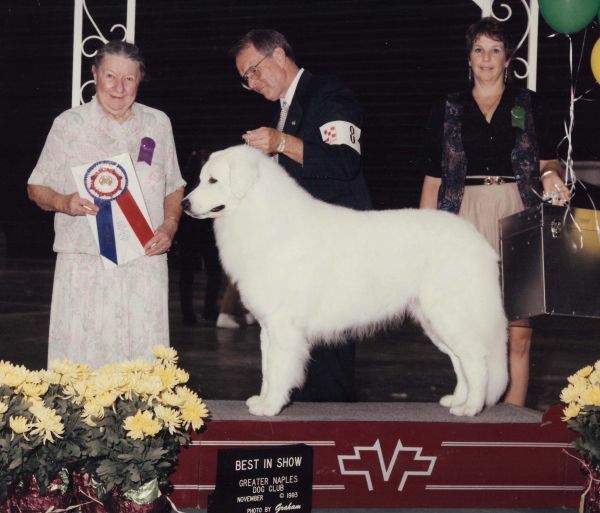 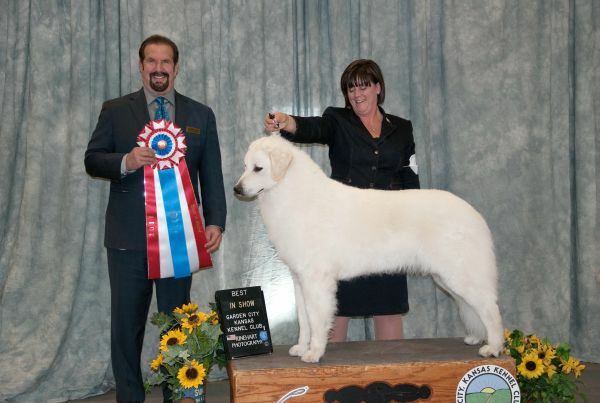 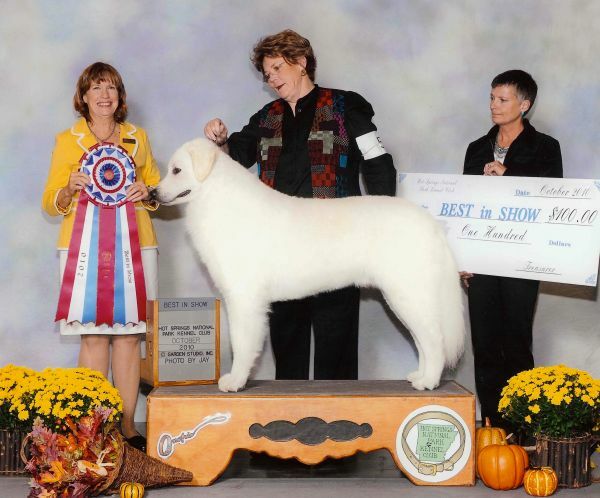 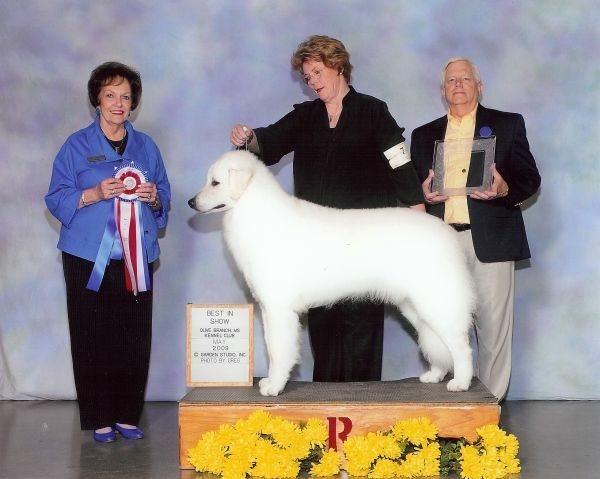 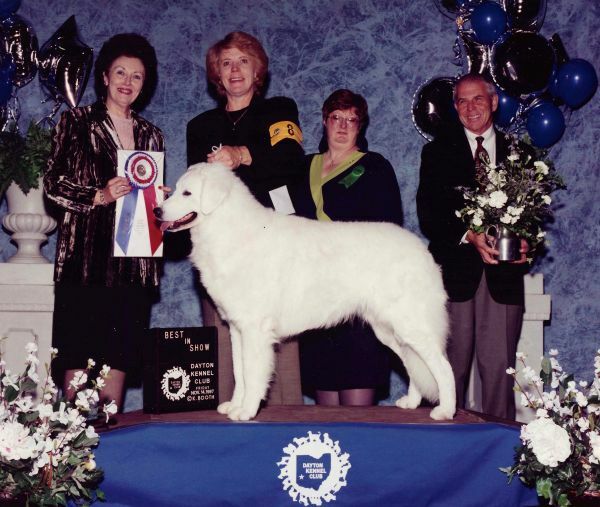 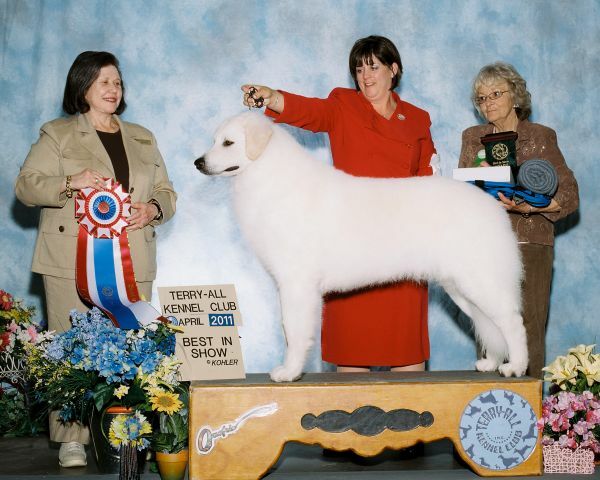 “The judges examine the dogs, then give awards according to how closely each dog compares to the judge's mental image of the “perfect” dog described in the breed's official standard.” The breed standard was written by the Kuvasz Club of America, the parent club for Kuvasz with the AKC. 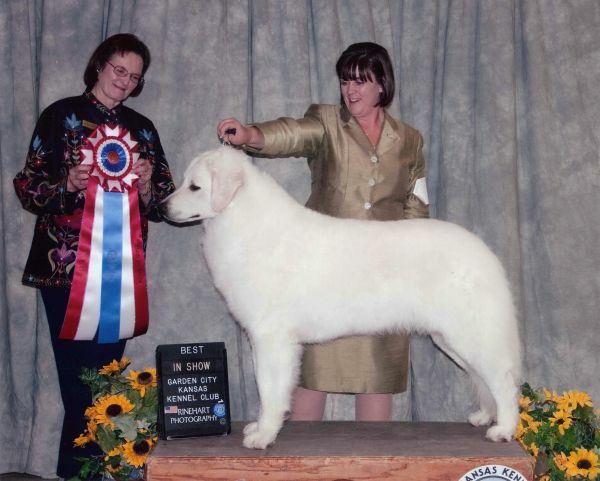 “The standard describes the characteristics that allow the breed to perform the function for which it was bred. 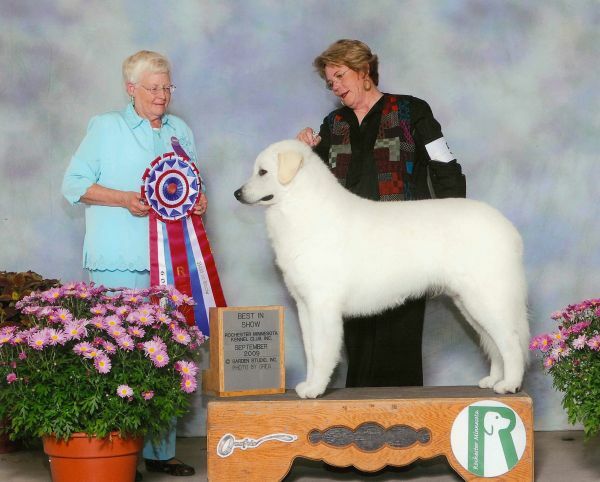 These standards include specifications for structure, temperament and movement. 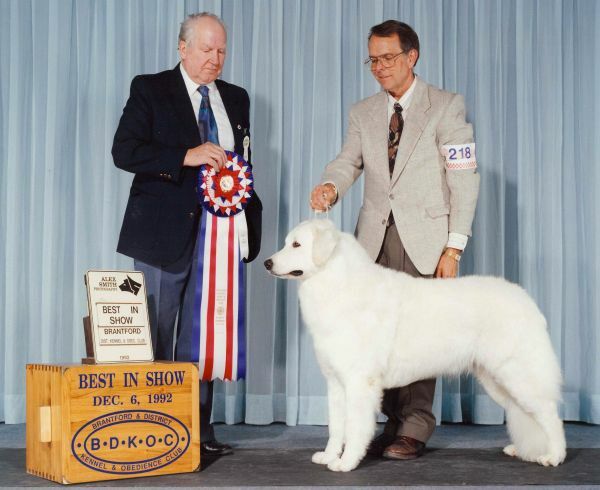 “All-breed shows offer competition for over 150 breeds and varieties of dogs recognized by the AKC.” Dogs are judged first at the breed level against other dogs of the same breed. 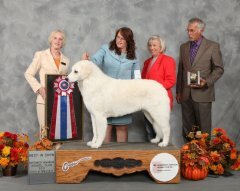 The winner of this competition is awarded Best Of Breed and only the Best of Breed winner goes on to the group level. 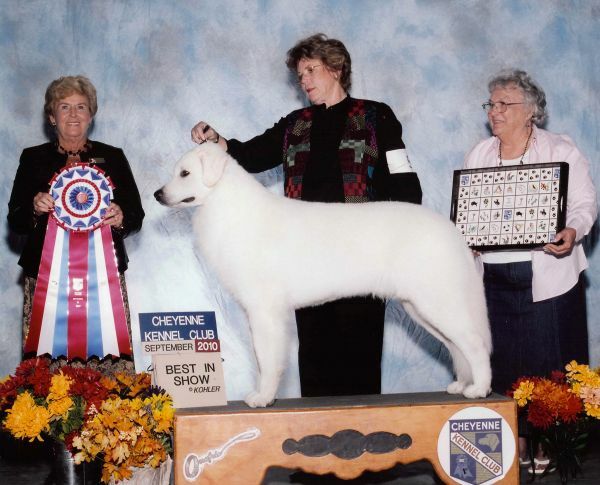 At the group level dogs compete with other dogs from one of the seven groups. 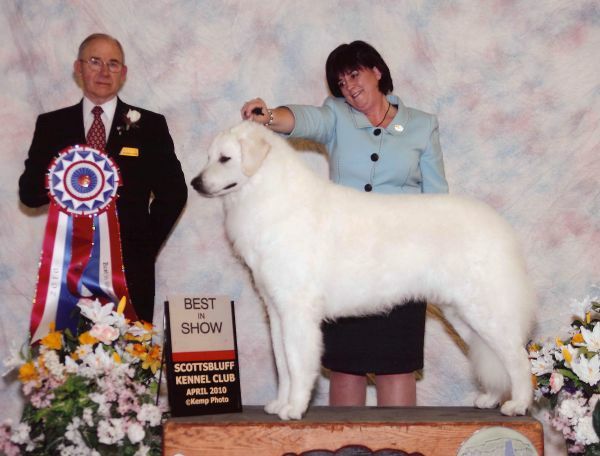 The Kuvasz is in the working group which are dogs that were bred to “pull carts, guard property, and perform search and rescue services. 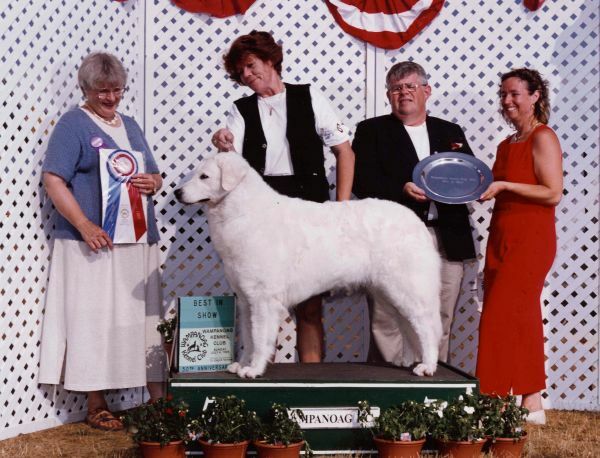 “Four placements are awarded in each group, but only the first-place winner advances to the Best in Show competition.” The dog who wins the Best in Show competition is considered to be the exhibit that most closely resembles his breed standard. 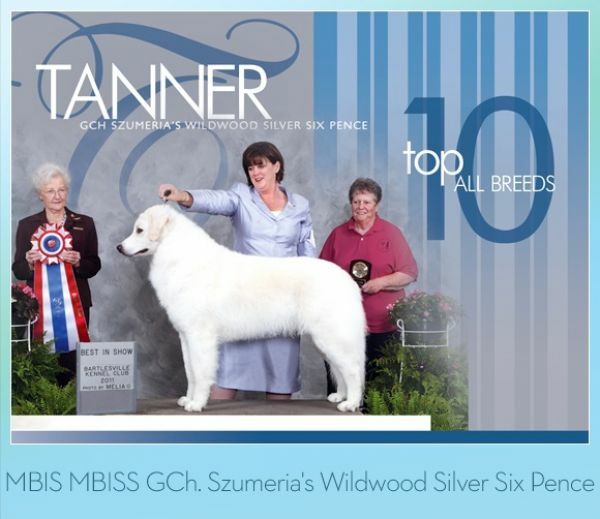 We are proud to present Szumeria's AKC All Breed Best in Show winners.